Kerry Washington nailed it on every stop of her Django Unchained press tour. She continued to take risks into award season, and her adventurousness paid off, landing her at the top of best-dressed lists week after week (she was one of my favorites at the Golden Globes; if you missed that post, you can read my full recap here). While Washington knows how to rock bright colors and pushes the envelope with vibrant patterns, she always looks stunning in white. Below are a few of my favorite KW looks from the past year, and not surprisingly, many of them come in variations of my choice neutral hue. 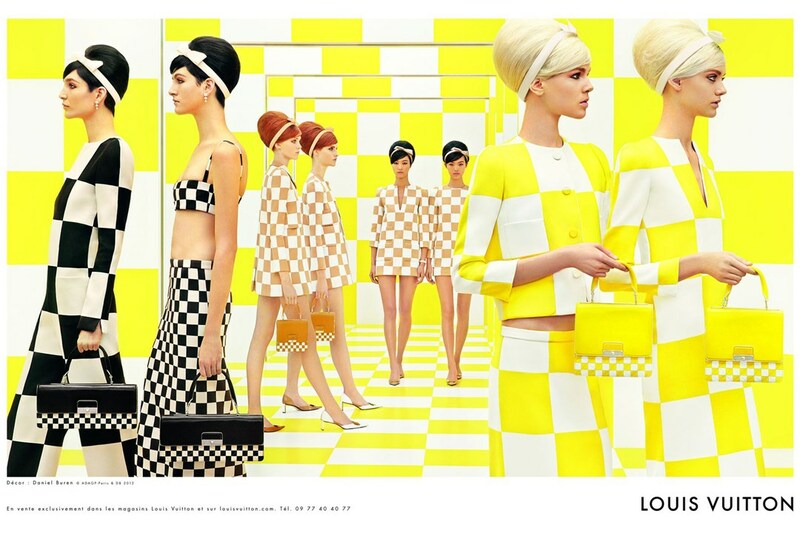 I’m loving these creative fashion spreads these days mixing art and fashion. 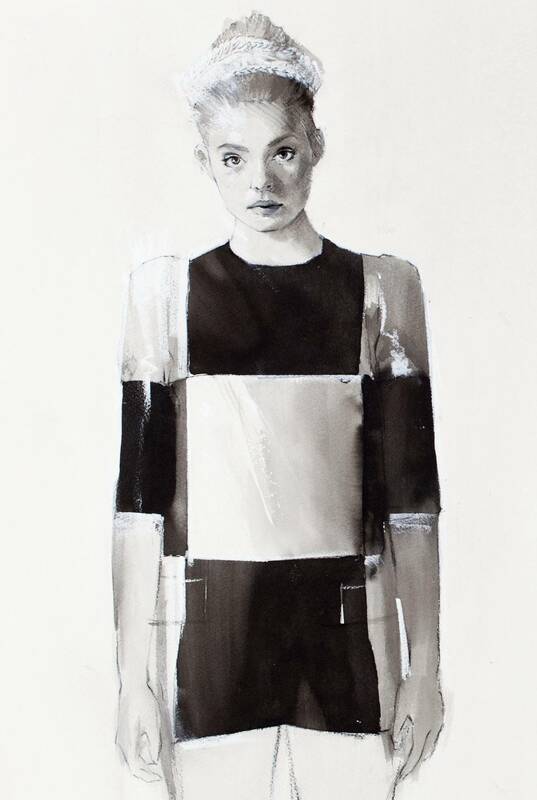 Just a few months after W Magazine debuted its annual Art Issue featuring Jessica Chastain styled by a number of notable contemporary artists (including Mickalene Thomas, which I wrote about here), New York Magazine dropped its annual Spring Fashion Issue covered by Hollywood’s most stylish 14-year-old, Elle Fanning. This is one of my favorite fashion spreads ever in the history of fashion spreads. 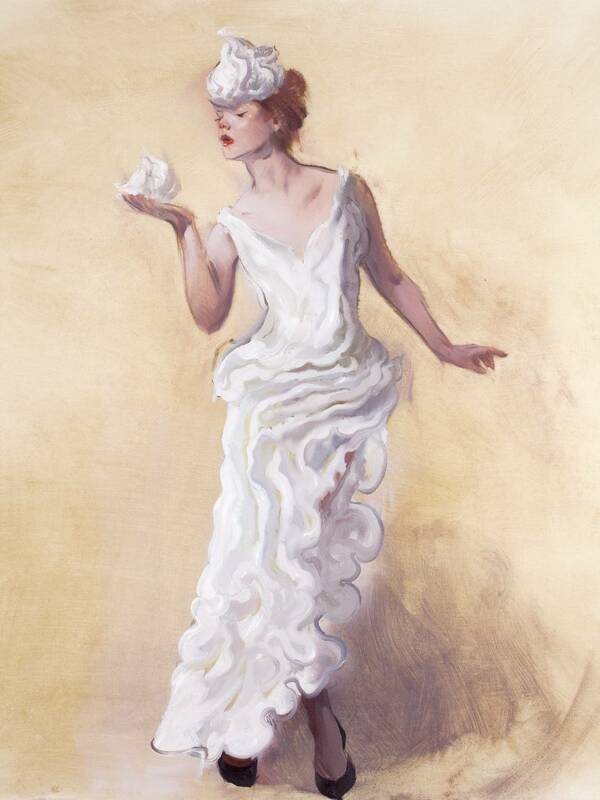 It is not only inspired, but also so indicative of Will Cotton’s practice, making it clear how much freedom the artist was given over the shoot. If you browse through his works on his website, you can see evidence of past inspirations seeping through to Fanning’s spread. A few images from the shoot are below, but pick up the latest issue of New York Magazine for some serious eye candy (pun intended). While sister Cara definitely had quite a year in 2012, modeling in the biggest runway shows, starring as the face of numerous ad campaigns, and being named model of the year at the British Fashion Awards, my style obsession lies with the older Delevigne. She can transition from street style to boho chic to glitz and glam so effortlessly, all the while making the look her own. This natural beauty was one of my favorites to watch in 2012 and I expect a lot more from her in 2013. How many people do you know who can pull off cat ears? In Chanel. In Chanel at the Met Gala. 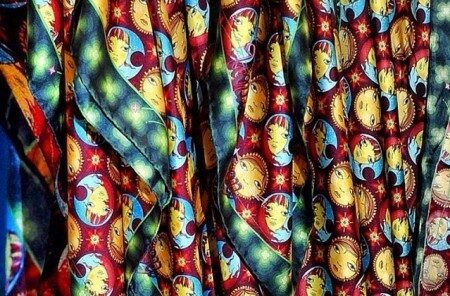 Louis Vuitton, reigning brand for artist collaborations (including Yayoi Kusama and RETNA alone in the past 6 months), has teamed up with Brazilian artists Os Gemeos to launch a limited edition scarf that will be available for purchase starting tomorrow. 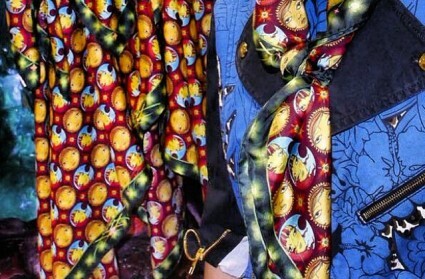 The artistic twin brothers posted a few sneak-peak photos on their instagram account of said scarves, although it is unclear if other collaborative merchandise will be available as well. 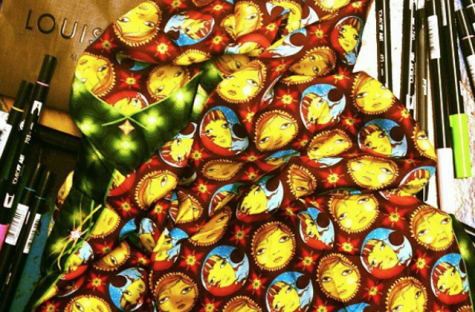 The scarves feature a sea of the artists’ signature yellow nonchalant faces amidst a red background with a beautiful green-patterned border. While you may have to wait until the 2nd to get your scarves in-store (side note: I find it odd to launch a new product on a day when all retail stores are closed), you can check back on my facebook page for more details of where to buy as soon as I have them. If you don’t already like my blog page on facebook, do it now: http://www.facebook.com/whereartmeetsfashion! 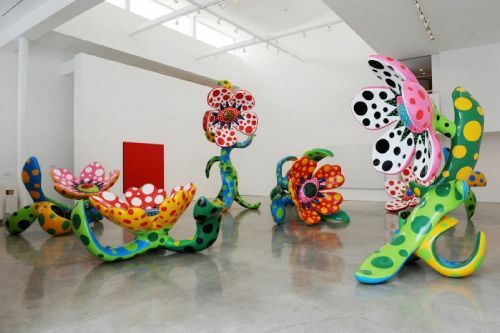 What better time to get artsy in Miami than right before Art Basel? 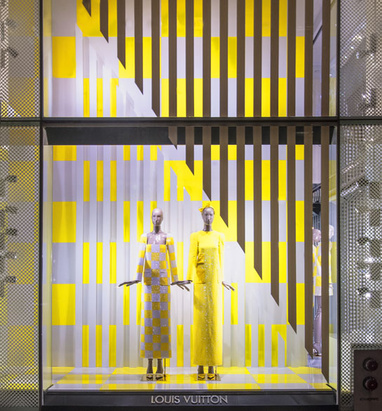 That had to be going through the minds of those over at LVMH when they opened a temporary store in the city’s Design District last Friday. 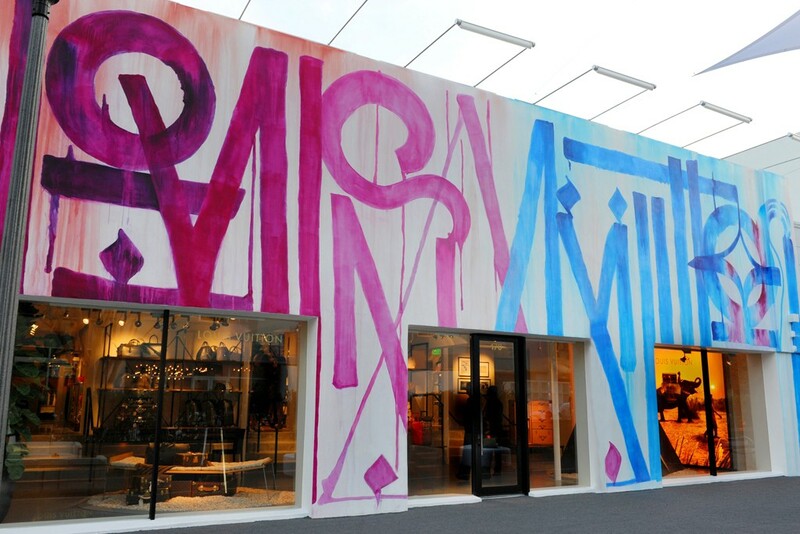 LV commissioned a mural by LA artist Retna for the stark white exterior of the short-term location, which will serve as a presence for the brand until a permanent store opens in 2014. 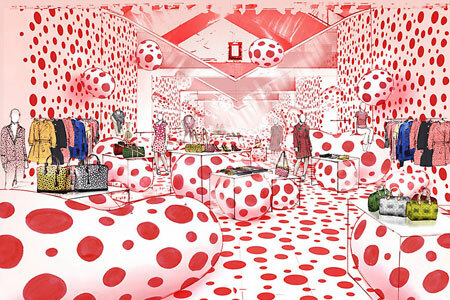 This is the first time the brand has commissioned art for the exterior of a store; LV typically invests in art to engage shoppers as they browse through merchandise inside retail locations. The design for the mural mirrors that of a scarf designed by the artist to sell at the Design District location, which integrates his trademark graffiti letters in a hot pink and blue color palette. 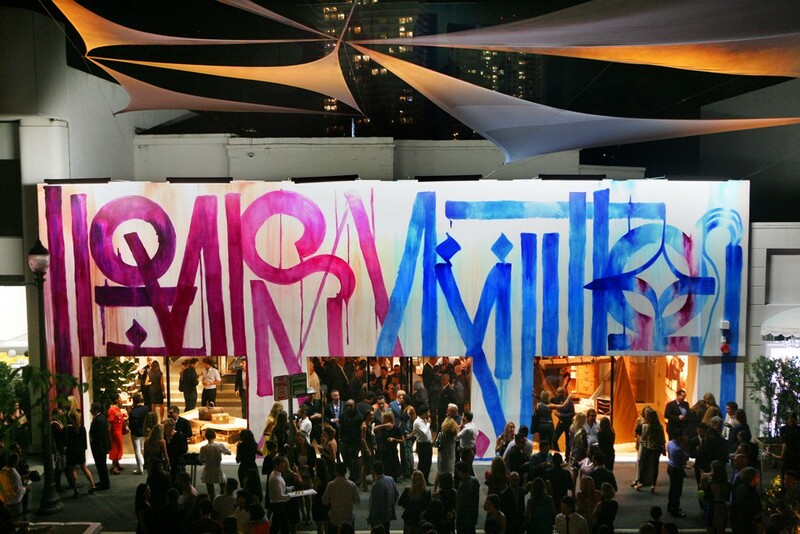 In addition to the mural and scarf, Retna also created three unique works for the store’s VIP salon. 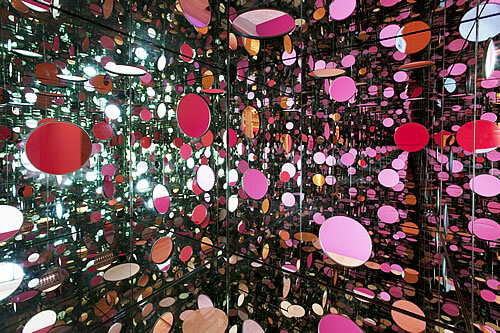 Kusama for LV Pop-Up Shops! I love a good Pop-up shop. 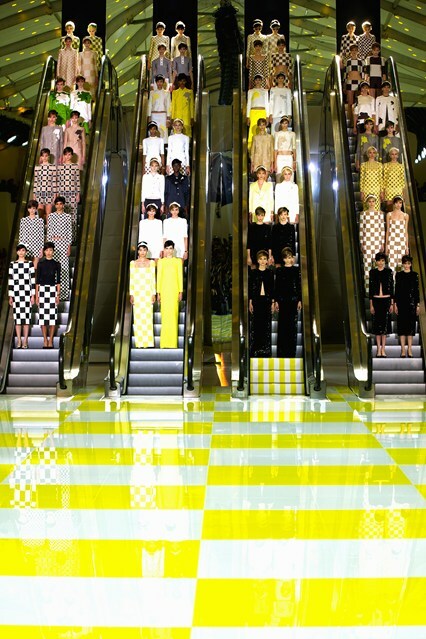 I love them even more when they look like polka dots threw up all over them (literally, see rendering below). 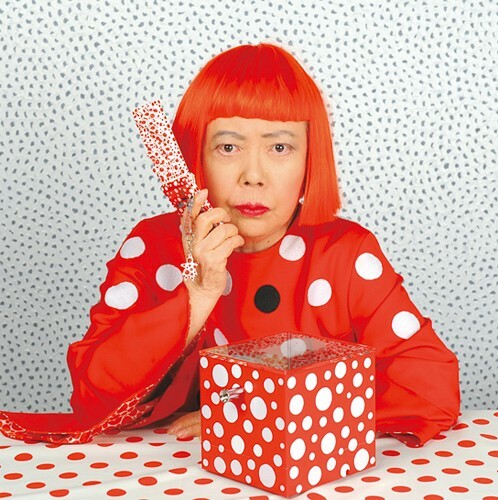 The king of creative collaborations continues to sustain the media buzz surrounding the upcoming launch of the brand’s latest capsule collection in collaboration with Japanese artist Yayoi Kusama. 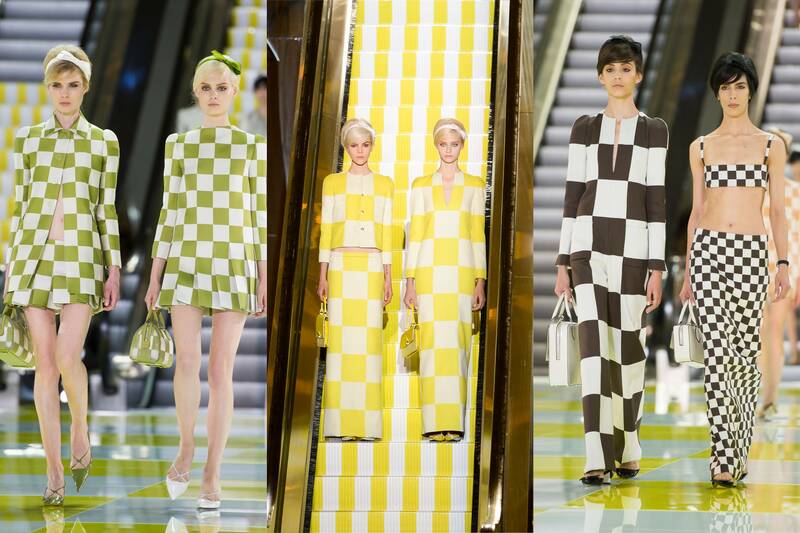 LV announced yesterday that it will open seven pop-up shops around the world to house the coveted merchandise. The first will open in New York’s Soho on July 10, followed by additional temporary stores in Hong Kong’s Pacific Place, Ngee Ann City in Singapore, the new Dover Street Market in Ginza, and Isetan’s Shinjuku branch in Tokyo. 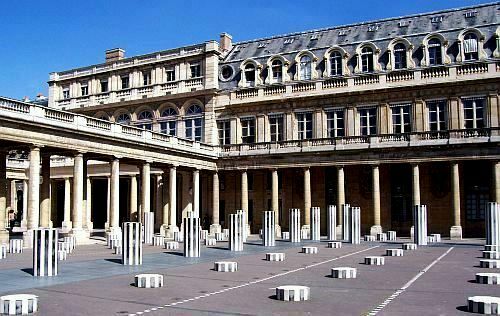 Huge installations are planned for Printemps in Paris and Selfridges in London.